Second day of vacation brings packing and driving. We are getting ready to head out of the city for a few days and spend some time at a family friend’s cottage. 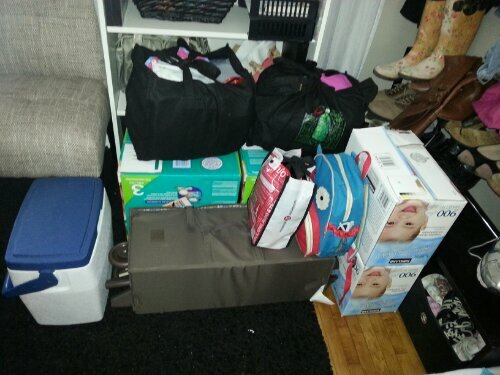 Can you believe we are only going up for 2 nights with all this stuff? The joys of travelling with young kids! M laughed at me for packing everything in boxes but I think it is going to make finding a place for everything in the car much easier. I guess we’ll find out soon if my logic holds! Happy long weekend to my fellow Canadians!